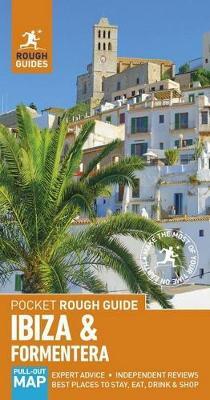 Discover these fascinating islands with the most incisive and entertaining travel guide on the market. You can take this handy, pocket-sized book out withyou anywhere, any time. Whether you plan to bar-hop in Sant Antoni, wander Ibiza Town's medieval lanes or bask in the sun on Formentera's Platja Illetes, Pocket Rough Guide Ibiza & Formentera will show you the ideal places to sleep, eat, drink, shop and visit along the way. Perfect for short trips - compact and concise, with all the practical info you'll need for a few days' stay. Free pull-out map, as well as full-colour maps throughout - navigate the backstreets of Ibiza Town or road-trip the sleepy northwest without needing to get online. Things not to miss - our rundown of Ibiza and Formentera's unmissable sights and experiences. · Itineraries - carefully planned days to help you organize your visit. Independent, trusted reviews written with Rough Guides' trademark blend of humour, honesty and insight, with options to suit every budget. Day-trips - venture further afield to Toledo, Segovia, El Escorial, Aranjuez or Chinchón. Accommodation - our unbiased selection of the top places to stay, to suit every budget. Essentials - crucial pre-departure practical information including getting there, local transport, tourist information, festivals, events and more. Background information - an easy-to-use chronology, plus a handy language section and glossary.